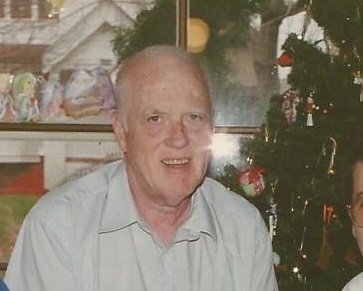 He reports that long time net member, Warren, W9OWV, passed away on 21 September 2014. 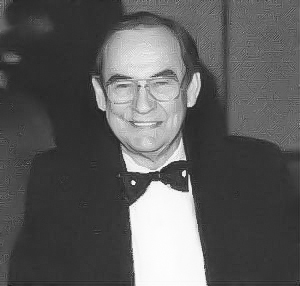 Warren is a retired broadcast engineer from ABC. Click below for the obit. 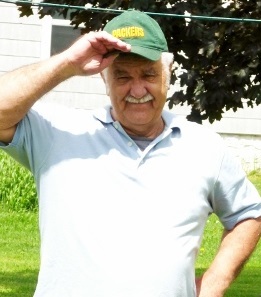 Norman Thomas Hunt, of DeForest, WI died quietly at Agrace Hospice on Thursday afternoon, June 26, 2014, with family close at his side. He said his goodbyes over the last weeks with the special grace and humor that had been typically his all across his long illness. Norm was born December 16, 1944, in Westfield, PA. He was a proud 32 degree Mason through the Coudersport PA Consistory, as of June 9, 2001. He married Margaret Ann Draper on Sept 30, 1998 in Ellicott City, Maryland. The couple moved to Madison in 2005 where Norm created lasting friendships with the 75M Ham Radio community as he enjoyed his retirement. Charles had a bad fall on 4 Dec 2013, that he never recovered from and he passed away 3 weeks later on the 28th. 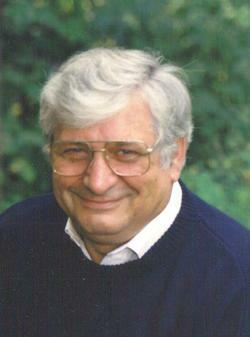 He was a very frequent participant to the Midwest Classic Radio Net, always cheerful, full of humor and helpful. 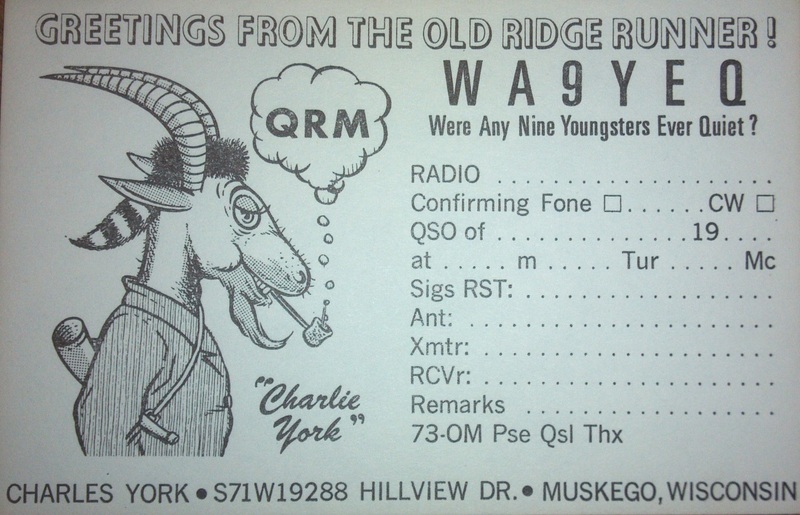 Here is a picture of dad's QSL card for anyone that didn't get one in the conventional manner. Note that his card was specifically designed to NOT include SSB in the mode area. Dad was truly an AM only operator!! Ocassionally he operated some CW for good measure. Dad spoke often about the net and how helpful and nice all the guys were. If anything was planned for Saturday morning it was always planned around his net time! Charles was quite the ham. I used to listen to him in the late 1960's after I built my Star Roamer... because he was on AM! One time, I was at the Grayslake hamfest. I was with Jim K9RJ and others. Charles walked up, looking very tired and thirsty, it was a hot one that day. We gave him something to drink and sat him down in a lawn chair. He was happy to stop and talk (in that wonderful drawl). He then went merrily on his way looking for treasures. He was a very humble and grateful individual. Charles pronounced crystal, kris-chee-yell and pronounced chimney, chim-blee. I learned these "correct" pronunciations of common words when I listened to him on 75 meter AM. Knowing that Charles was from Tennessee and that his name was York, I once asked him whether he was related to Sergeant York, the famous WW1 hero. He said that he was a distant relative, but I can't remember what that was. Charles was also a Korean war vet; but most people probably know that. I'm sorry I never got to meet Charles in person, he was definitely one of the good guys. Good morning Harry. Here is the obituary and some pictures of my good friend Ron, WA9QNN. Ron is the brother-in-law of John, WD9JIM. 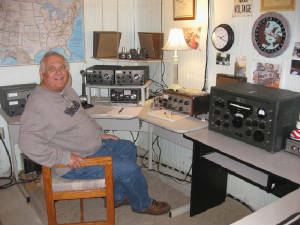 Ron was very active on HF and enjoyed working AM and SSB but his real passion was QRP CW. 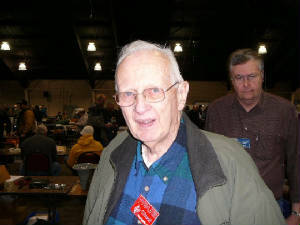 He was an original member of the 807 Club which started on 40 meter CW in 1979 and is still running to this day on 3963. Ron was responsible for me becoming a ham as well as a bunch of others here in NW Wisconsin. Ron and his wonderful wife Nancy resided in White Lake, WI. Ronald J. Doering, age 66, of White Lake and formerly of Kaukauna, passed away Friday, June 7, 2013, at Bellin Hospital in Green Bay. He was born on August 19, 1946, in Appleton to the late Ralph and Margaret (Kraft) Doering. Ron was united in marriage to Nancy Brautigam on September 4, 1971, and they spent 41 years together. He graduated from Kaukauna High School, Milwaukee School of Engineering, UW-Madison, and proudly served his country in the U.S. Army in Vietnam from 1969 to 1970. Ron worked for numerous companies and ended with the Department of Defense in Milwaukee. He greatly enjoyed fishing, hunting, amateur "ham" radio, and restoring old radios. Ron loved spending time with his family and friends. He could talk to anyone and often did. He was involved in the American Legion Riders, Patriot Guard, and Rolling Thunder. by all your radio friends. Our prayers to XYL, Donna and the Haut family. that Ron, WB9IMR, lost his XYL. The services will be private. Ron, our hearts and prayers go out to you. I found out this afternoon that George Sopocko, WA9JEZ passed away about a week ago. I found this out from his son in law. George had a procedure performed on him about 4-5 weeks ago to clear a blocked artery. Apparently it triggered blockage in other areas of his body that damaged other organs in his body including his bowels and kidney's. Definitely sad news. I have known George since 1967 when he came to my High School to help with setting up a radio club. Over the years I must have visited his shop on Irving Park in Chicago over a 200 times. He was a unique individual and one who could fix anything with tubes in it!! I will miss him. 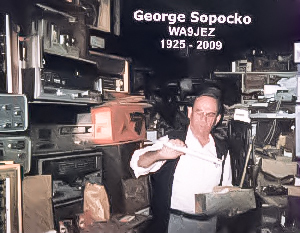 George Sopocko, was born on March 16, 1925 in Poland and died on Friday, July 17, 2009. He was 84 years old. He had continued until then working with all his old electronic equipment - restoring and repairing and just enjoying. He always had a great interest in electronics even as a child in Poland. He had a dream to come to the United States and have a life here with his own business and that he did. He was a veteran, a hero from World War II, a member of the Polish underground where he did his part in the fight against Hitler. That part of his life affected the rest of his life forever. and put in a German prisoner of war camp. Most of you have heard from him many of his war stories. Dealers Association and a member and president of the Chicago Amateur Radio Club for many years. He traveled, loved to cook, to read, and work on crossword puzzles. I first became aware of George when I returned from a two-year corporate stint on the east coast in the early 70s. I moved to North Evanston and one of my new neighbors, who knew I was into homebrewing, told me about Radio-TV Lab, recommending George as a source of reasonably priced hard-to-find radio parts. Not only was he reasonably priced, but I could negotiate little freebie extras and sometimes no tax on the sale! It was kind of a sport between us. ...a sport we both enjoyed. Later, when the CB craze hit, he was making good bucks selling parts to CBers. He knew I was saving up for a house, so he would often sell me radio parts extra-cheap or just give them to me outright for my homebrew projects. He was interested in what I was doing with the parts I'd get from him. I was interested in hearing about his experience in Europe in the 40s. So our negotiations would often take more than an hour, interrupted by sidetracked topics, phone calls and other customers. Frankly, I enjoyed every minute I ever spent there with him. I remember his store on Irving Park when one could actually walk anywhere in the front section and examine parts on all of the shelves and in the glass cases. Ya know, the best stuff was in those glass cases! I'm talking double ball-bearing variable caps, zero-backlash gear assemblies and Collins mechanical filters with bandwidths, impedances and center frequencies that were actually useful. A homebrewer’s paradise. Lastly, George was a truly likable and decent person. I was lucky to have known him. for many years during the 1970s! early days of amateur repeater development! Art passed away on Tuesday July 7, 2009.
we heard John, K1SCO check in with his ART-13.